The Government Accountability Office has said that the U.S. Coast Guard should incorporate lessons gathered from acquisition programs into shipbuilding initiatives, to fill in capability gaps and address oversight on some naval aspects. 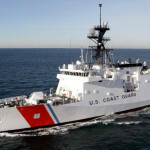 In a report published Thursday, the GAO pointed out that USCG and the National Oceanic and Atmospheric Administration can adopt some of the watchdog's findings to tighten their shipbuilding modernization efforts. 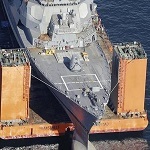 These lessons include establishing a long-term acquisition plan; ensuring the soundness of a business proposal before allocating resources; requesting fiscal help from the U.S. Navy; and exploring the pros and cons of various procurement methods before pursuing one. In September, the GAO found out the Coast Guard failed to establish the soundness of the polar icebreaker program's business case as there had been issues with its schedule, cost and performance indicators. The government audit agency recommended that the USCG implement a 20-year fleet modernization strategy, disclose trade-off action in its annual capital investment plans and find a workaround for its polar icebreaker purchase to turn it into a sound business case.